Clipper Road, 2018 June 10. Photograph by Steve Earley (CC-BY-SA 4.0). You may have seen the news in the Baltimore Brew or the Baltimore Fishbowl—a local developer is seeking to demolish two of Woodberry’s early nineteenth century mill workers’ houses to make way for a new apartment building known as Woodberry Station Apartments. This is just one of several major changes under consideration for the neighborhood. Valstone Partners, the new owners of Clipper Mill, are considering a major development for the Tractor Building—a WWI-era machine shop that has housed a parking lot for the last several years. 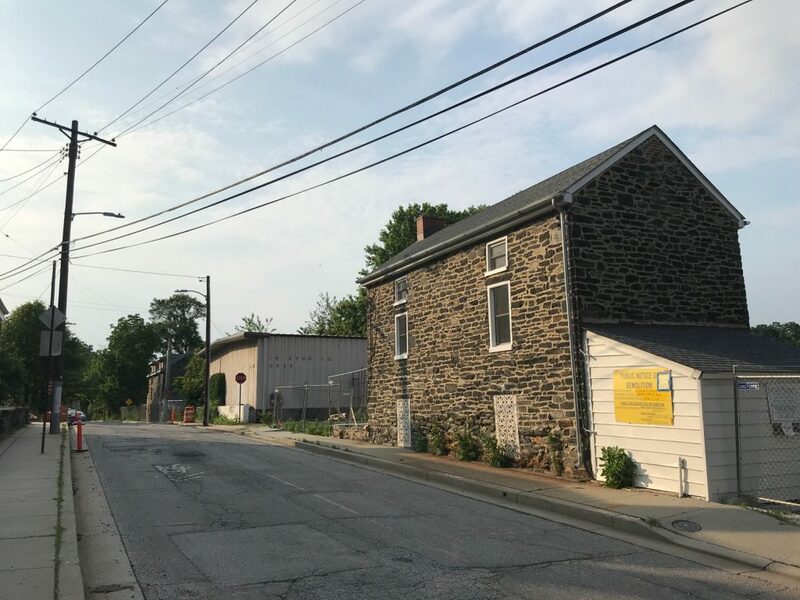 Baltimore Heritage is supporting the Greater Hampden Heritage Alliance and residents with the Woodberry Community Association in calling for the preservation of the threatened stone houses and the Tractor Building. You can help by contacting Councilman Leon Pinkett to share your support for preservation, submitting written comments to the UDAAP panel, attending upcoming hearings and community meetings. Read on for a sample letter and more information about how you can get involved in this urgent preservation issue. If you are a constituent in the 7th City Council district or another concerned resident, please email Councilman Leon Pinkett at Leon.Pinkett@baltimorecity.gov and him to support the preservation of the historic stone houses on Clipper Road. I am writing to you about the proposed demolition of the two c. 1840s stone houses at 3511 and 3523 Clipper Road. No demolition should occur until after all permits and plans have been approved. Time and again, Baltimore has seen historic buildings torn down with nothing to show but a chain link fence and hole in the ground. This pattern of demolition must end. The historic stone buildings are listed on the National Register of Historic Places and are among the first homes in Woodberry, part of the original mill village here that grew into a nationally significant industrial center. Amazingly, the mill village along Clipper Road has remained mostly intact for over one hundred and seventy years. 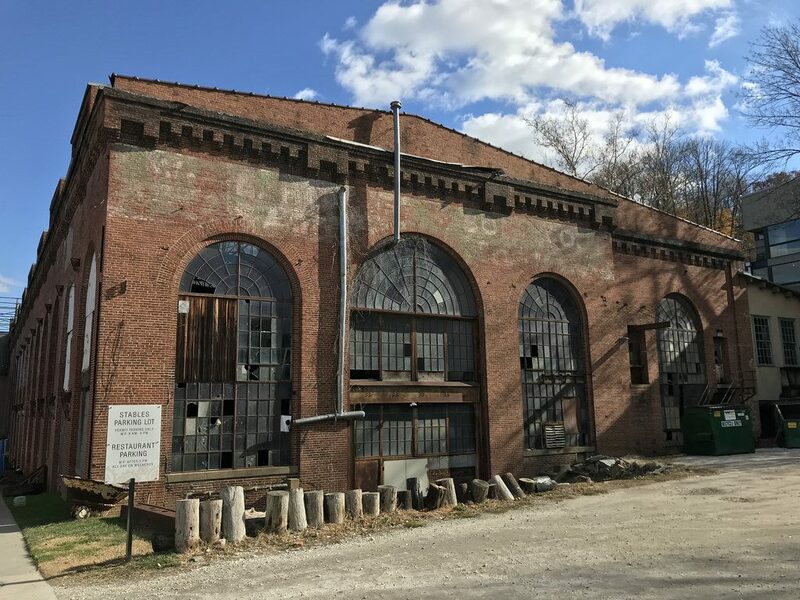 Losing these buildings in 2018 would be an irreversible loss for Woodberry and for Baltimore’s industrial history. It is easy to tear down historic buildings, but in the long run everyone in Woodberry will be better off with history and the unique character of the community preserved. I urge you to halt demolition until all permits and plans have been approved. Please work with the Woodberry Community Association and their partners to help the developer find a better path forward. This meeting is the follow-up to the April 2nd meeting with Valstone about the planned redevelopment of Clipper Mill. If the project proceeds as planned, the Clipper Mill redevelopment will bring major changes, including the redevelopment of the historic WWI era Tractor Building and high density infill across the campus. It is vital that the project proceed in a way that is sensitive to the historic fabric of Woodberry, much like the nationally recognized Clipper Mill development before it. UDAAP (The Urban Design & Architecture Advisory Panel) will review the design for the new apartment project that will replace the c.1840s stone homes on Clipper Road. UDAAP advises interested attendees that while attendance is open to the public and members of the press, they are limited to observation to allow maximum interaction between project teams and members of the panel. If you want to share concerns with the Panel, you need to send a written by email to the Director of Planning, Tom Stosur at Tom.Stosur@baltimorecity.gov by end of the day on Tuesday, June 12. This meeting is to discuss the development and impending demolition of the historic 1840s stone houses at 3511 & 3523 Clipper Road. We need to let the developer know that no demolition should take place until all permits and plans have been approved. Ultimately, we hope the developer can work with the community, avoid demolition, and find a better path forward. We don’t want to see these historic 1840s stone houses replaced with nothing but a chain link fence and a hole in the ground! Tour a working garment factory, take a trip to Middle River, and more!